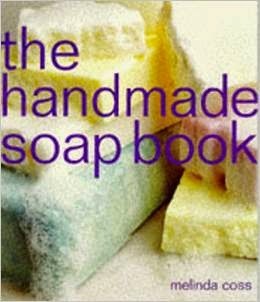 A couple of years ago I bought this book on making handmade soap, as I really fancied having a go. For one reason and another, I never got around to actually having a go until a couple of weeks ago, and there are now three batches of soap curing in the garage. 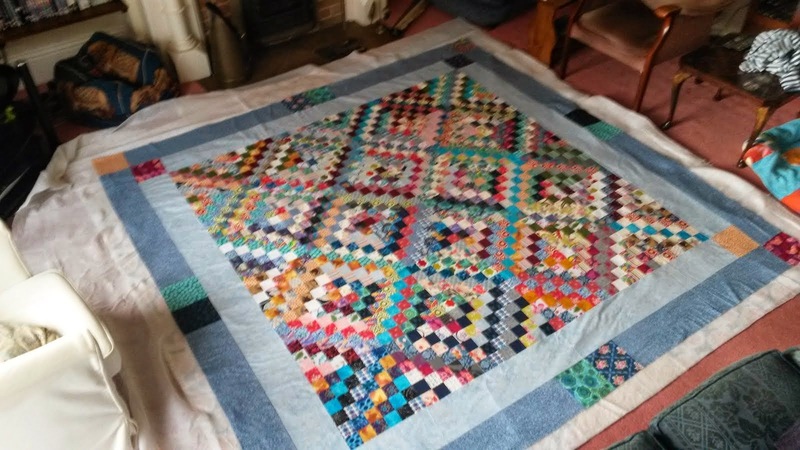 It was easier than I expected to make the soap, and compared to the quickness and hurry which sometimes accompanies my sewing, it was incredibly chilled out and relaxed. Because you have to let your fats and sodium hydroxide cool to the right temperature, wait for the soap to thicken and let it cure for four weeks, it's not a craft which you can rush. So far, I have made honey, cinnamon and almond soap, grapefruit soap and pink lavender and lime soap. They all smell fantastic and I can't wait for them to be ready to use! The book was really good. I found the instructions clear and readable, and the recipes easy to follow. The pictures are enticing, and there is a lot of great information about different ingredients in the front of the book for if you want to come up with your own recipes. However, the recipes given are so delicious that I think they will keep me going for a little while until I'm really confident I know what I'm doing. In a previous life I was a chemist but I now work at a desk job, so there was something a bit fun about turning the kitchen into a mini chemistry lab for the evening. But that's just the geek in me coming out! There is no need to have any sort of experience in to do this; it's just important to follow the instructions carefully, and make sure to clean up properly afterwards. Linking up to Anything Goes Monday over at Stitch by Stitch.